Illamasqua lipsticks has become a first choice of makeup artist around the world due to its exquisite, very funky and fresh range of lipsticks. A reason of every makeup artist switching MAC to illamasqua because its versatility and brilliant choices of colours. Every wel-known makeup artist like Natasha and Anam in Pakistan preferring illamasqua lipstick for the brides. I myself adore the refreshing shades of lipsticks, but problem with every illamasqua lipstick is everyone complaining its dry consistency. If you remember I have written about illamasqua lipsticks (immodest) before and found the formula ultra dry which leave patches on lips. However, they released glossy lipsticks lately probably the very first time in illamasqua history. 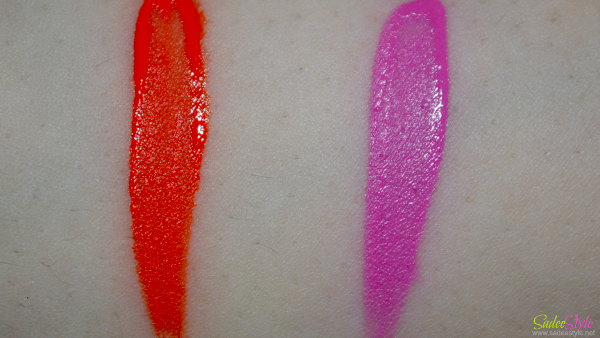 I have tries and review two shades of the glossy range Glissade and Luster. Although those were smooth and better in consistency, but I found the formula little sheer and over glossy. 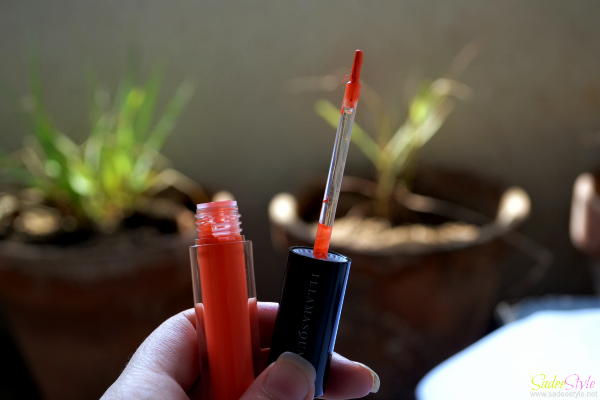 In 2014 Illamaqua amazed me again with its newly released formula of illamasqua lip liquid. They recently introduced three great shades of the season. I got two of them Exotic and forbidden. The formula is something different. 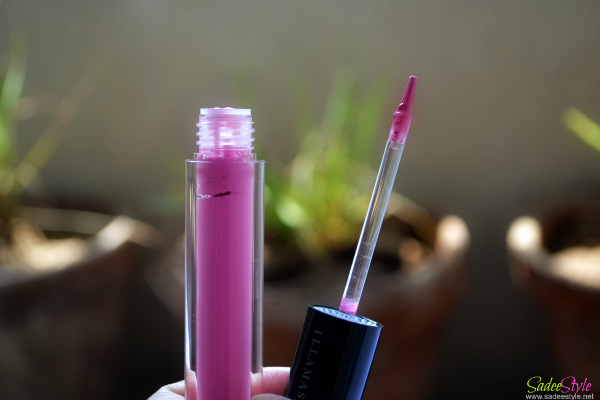 It's a thick liquid in tube, but instantly settle matte when you put it on. I still don't understand its amazing formula, but it's amazing. You cannot ignore the illamasqua glorious packaging and this time illamasqua come up with an amazing transparent tubes. It's a thick liquid in a tube, but dries matte. Although both shades are equally beautiful, but I like the exotic more because its so trendy and chick. A pure orange shade for summers. I found it very pigmented and smooth. Forbidden is vivid tone pink. I usually ignore such bright lipstick shades neither I have liked it when it arrived, but started loving it after applying it on. It was looking for a bit too bright in tube, but on lips it feels really beautiful. I like the amazing soft and smooth texture which dries matte, but do not feel sticky or over dry and it stays for a very long time. However, I'm very happy and impressed with Illamasqua Matte Lip Liquids, but application could be a little tricky I drew outside my lipline and applied a lipstick with the brush carefully. 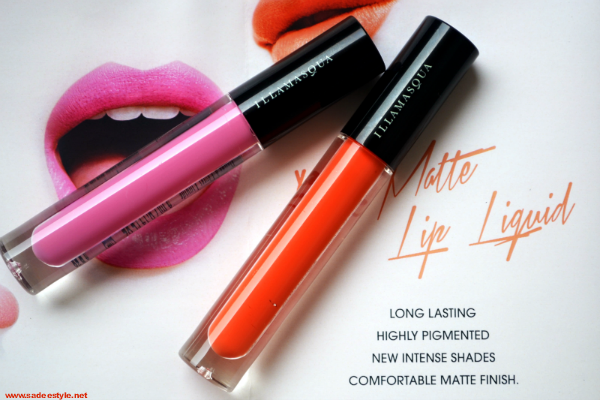 For lip swatches visit the link Illamasqua Matte Lip Liqiuds Exotic & Forbidden. Amazing staying power you wont need to retouch again during the day. Gorgeous and very trendy selection of colours. Thick liquid so we need a very small amount to build up. A rare and unique formula. Formula dries matte still does not feel sticky or goopy. These are really pretty and must have products, I would love to have more shades. I'm so jealous! :D want these badly! They are such pretty comments! Exotic seems like a more wearable shade for medium skin tones. Pretty! Both shades are gorgeous! Great post. Lovely blog here btw! Would you like to follow each other on GFC? Please let me know on my blog so I can follow back. Thank you. Beautiful shades. I would llove if u can do lip swatches as well. Forbidden looks so gorgeous.